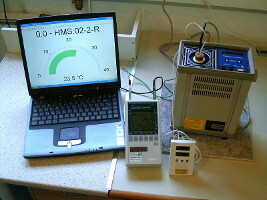 Our laboratory applies calibration methods and processes that meet our clients’ requirements. Our metrologists perform calibrations according to calibration protocols developed in line with the NAR-18-VIII recommendations of the National Accreditation Board. Our references and applications standards are calibrated by the Hungarian Trade Licensing Office (formerly: National Metering Office) and accredited calibration laboratories; thus they are traceable, and test results can also be traced back to nationally or internationally approved standards via an unbroken and valid chain. Calibrations are performed at metering points requested by our clients.